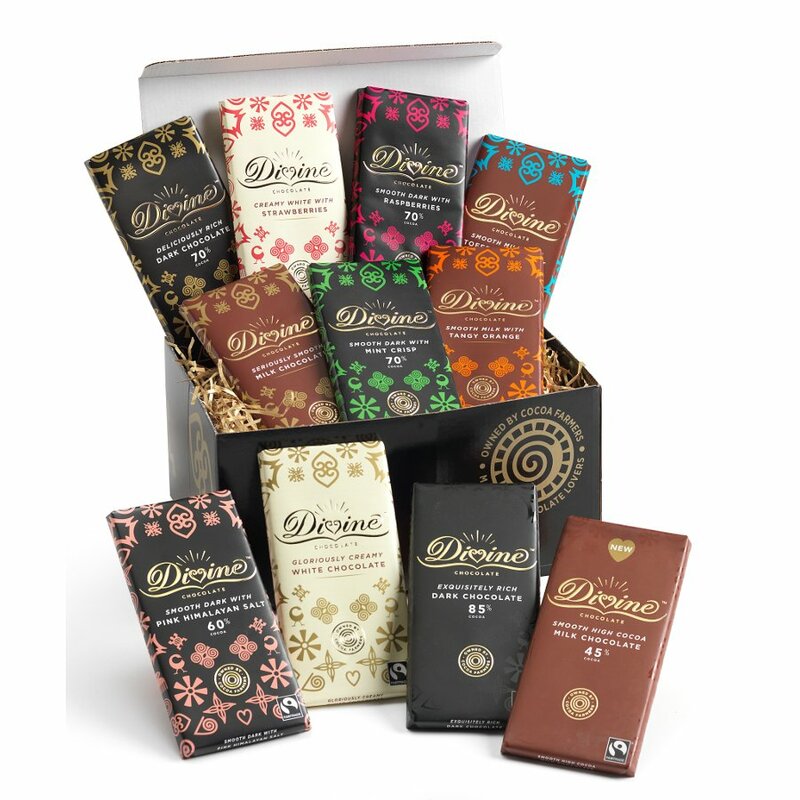 This scrumptious Divine chocolate hamper makes the perfect gift for any chocolate lover, with eleven bars all in different flavours. You’ll be spoiled for choice with this bountiful hamper, with such delicious morsels as creamy white chocolate with strawberry bar, dark chocolate with tangy raspberries, exquisitely rich 85% dark chocolate or grown-up fruit & nut: dark chocolate with amonds with raisins. Whether you love to explore chocolate flavours or want to shower a friend in chocolatey goodness, this hamper is the perfect choice. Please note that occasionally we may have to substitute flavours due to availability. Please note: Hampers can be made to order, if you are looking to order a large quantity, please contact us for details. 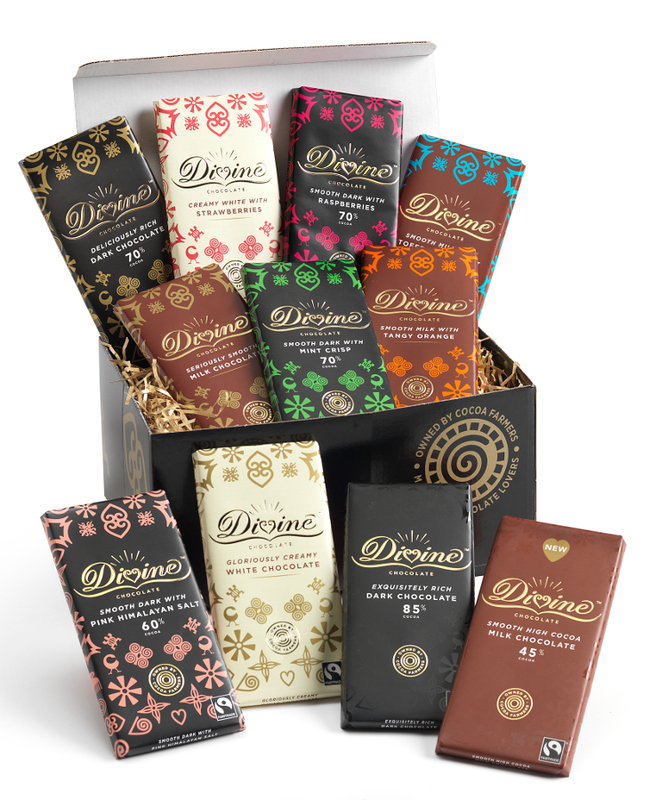 There are currently no questions to display about Divine Fabulous Flavours Chocolate Hamper.